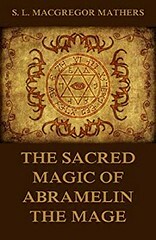 Arrabin: One of several demonic servitors attributed to the rule of Magoth, Arrabin appears in the Sacred Magic of Abramelin the Mage. In the Mathers translation of this work, he is also said to serve the arch-fiend Kore. In other versions of the Abramelin material, the name of this demon is spelled Arrabim.